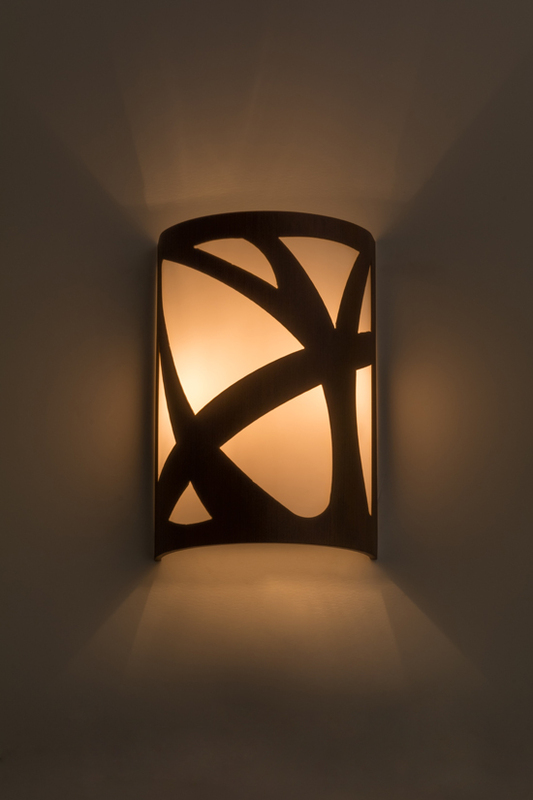 Description: Like an artist creating a resplendent mosaic masterpiece, this wall sconce reveals a stunning design featuring dramatic lines across a Statuario Idalight lens. This unique curved diffuser, which is complemented with a Rustic Iron finish, is created by our artisans in the USA. The ADA compliant wall fixture is available in custom sizes, styles and colors, as well as dimmable lamping options. The fixture is UL and cUL listed for damp and dry locations.